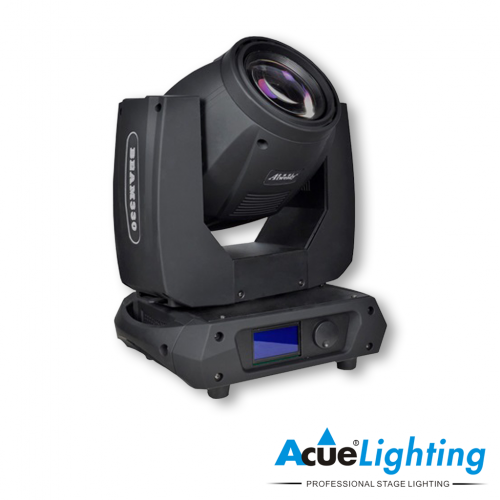 The Acue Lighting 20R Mega Beam Moving Head is our flagship beam moving light. 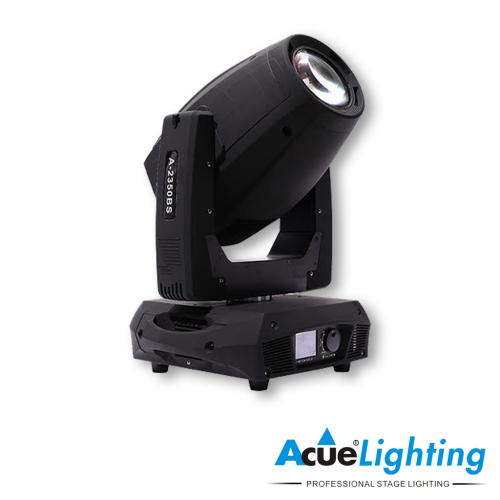 The fixture features a 470w MSD 20R bulb as its light source (1200 hrs), CMY Color mixing, 14 colors/white, 14 gobo/open, 3 facet prism, mechanical linear dimmer, mechanical focus control, mechanical linear frost filter control and mechanical shutter control. 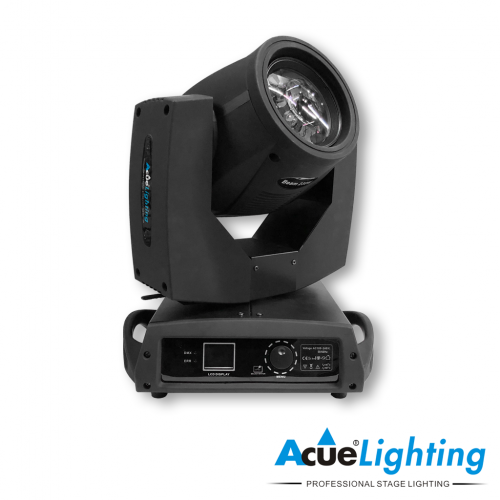 Its CMY color engine gives the unit perfect color mixing capabilities. 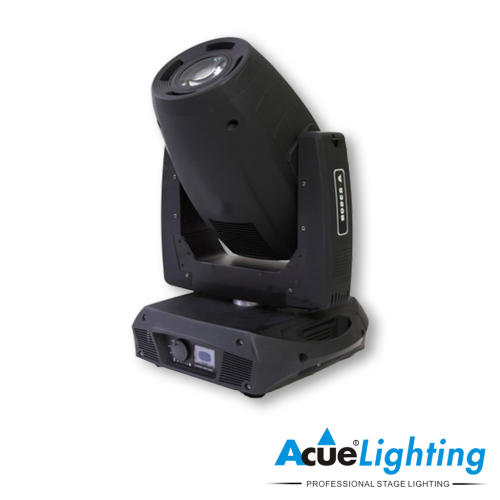 The Acue 20R Mega Beam Moving Head has become widely used in all large stage applications and permanent installations. Gobo Wheel 2 gobo wheels. 1 static gobo wheel with 18 gobos + open. 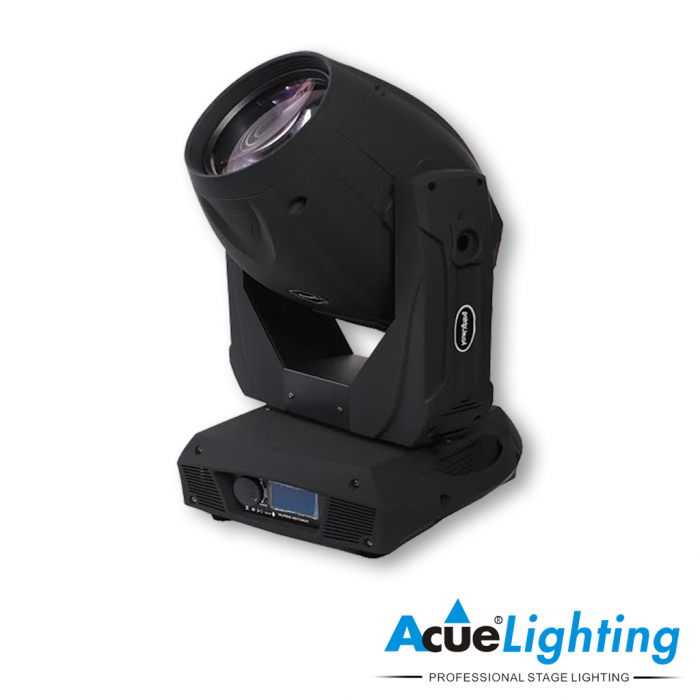 1 Rotating gobo wheel with 6 rotating gobos + open. Input Voltage 110-220V AC 50/60hz Power-Con power input connection.